Description: Aaliyah's last chance at winning her husband's love is destroyed when she is banished from her home as an 'unclean' sinner. Her husband has branded her as an adulteress and threatens to kill her if she comes near the town. Struggling to survive amidst the fear, grief and bitterness of living in a leper colony, she would give anything just to see her son again. Is God really punishing her with this disease? 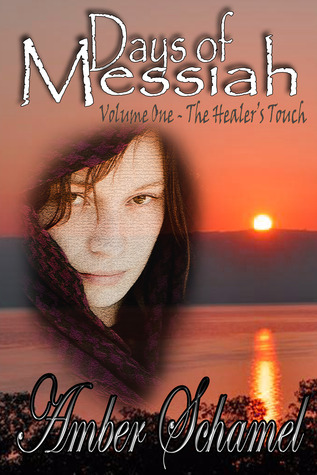 When rumors of a Healer from Nazareth reach the colony, Aaliyah wonders if this man could really heal her, or if He would despise her like the rest of her people. It is now that Aaliyah must make the most difficult decision of her life: risk her life to appear in public, or die a leper. Ever since I read Schamel’s wonderful story The Swaddling Clothes, I have wanted to read another of her books. I bought The Healer’s touch not long after, but it took me a few months to get around to reading it. When I did, I wished I had read it sooner. The Healer’s Touch wasn’t long, just a good novella size. I read it in only a couple of hours, but they were two hours very well spent. In fact, my only complaint about this book is that I wished it had lasted longer. For such a short book, it really packed a punch. I really felt deeply for Aaliyah as she lost so much due to her illness, both physically and emotionally. Her struggle to accept her new life was so realistic. I loved the images of love within the leper colony, the mother who had come with her child, and the matronly woman who takes Aaliyah under her wing. I highly recommend this novella for those who enjoy biblical fiction, well written stories, and books that touch the heart.